We know that you won’t be happy with just ordinary, run-of-the mill carpet in your home or business, and we think you shouldn’t have to pay an extraordinary markup in order to get what you really want. 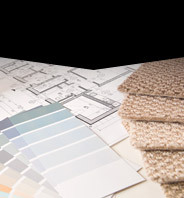 Don’t settle for the same old colors, patterns and styles and don’t let high prices put the floor of your dreams out of reach. 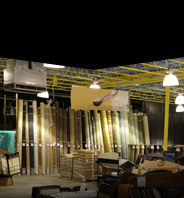 At Norman Carpet One, we’re more than ordinary. We’re distinctive. Here, you’ll find only the high-quality carpet, the lowest possible prices, and professional carpet installation to bring it all together. We specialize in mill trials, overruns, irregulars, overstocks and closeouts – including luxury remnants. That’s how we offer selection and prices you won’t find anywhere else. Whether it’s residential or commercial, we know you want your floor to stand out. That’s why we won’t let you settle for ordinary. 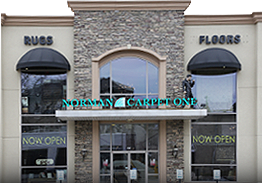 For the finest in carpet, a luxurious area rug or even the latest in hardwood laminate or stone flooring, there’s nothing as distinctive as the affordable style, selection, and service you’ll find at Norman Carpet One.